Under Construction. Being Built. These homes will be some of the nicest new construction homes being built in the area! 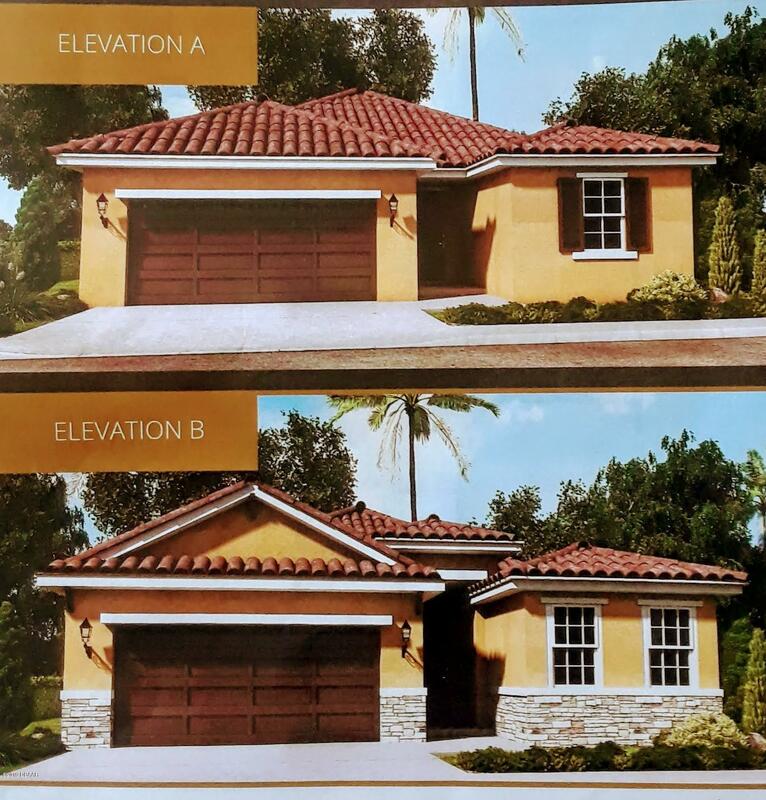 The exterior has a Mediterranean stucco finish, architectural shingle roofs, and pavers on the porches, lanais and driveways! All homes have granite counter tops throughout, colonial trim, your choice of carpet, laminate or tile flooring and high efficiency double pane windows! Floor plan attached along with specs. All homes also have covered lanais. Call for more details! Based on information from the DABMLS from 2019-03-06 14:35:09. DABMLS and their affiliates provide the MLS and all content therein "AS IS" and without any warranty, express or implied. Data maintained by the DABMLS may not reflect all real estate activity in the market.